A ground-fault circuit interrupter outlet is designed to protect you from electrical shock. In the event that there is a path for electricity to flow from an appliance or power tool through you to ground, a properly functioning GFCI outlet will save you from serious injury or even death. A normal outlet in the United States has three components that are visible from the outside: the left and right slots and the circular hole below them. A GFCI outlet adds an additional component, which itself isn’t visible. The right slot is called the “hot” connection. This is where electricity comes from to power the outlet (and whatever is plugged into it), arriving from the building’s electrical panel. The left, slightly larger slot is the “neutral” connection, where electricity travels back from the outlet to the electrical panel. Finally, the circular hole is the “ground” connection, a path that leads back to the physical ground, using the Earth itself as a safe return path for electrons. A ground-fault circuit interrupter has additional wiring that is used to keep track of what’s going on with the electrical current. Specifically, a GFCI constantly monitors the amount of current flowing between the hot and neutral connections. Since the GFCI knows what the balance should be between the hot and neutral wires, it can trip the circuit whenever it detects an imbalance. GFCIs are remarkably good at this, too, detecting imbalances of only 4-5 milliamps in just fractions of a second. What is the benefit of installing a GFCI outlet? 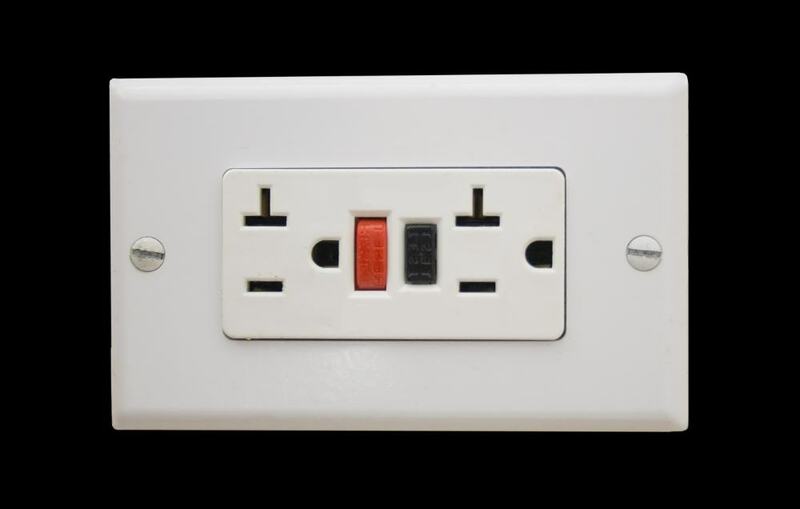 GFCI outlets protect against the most common form of electrical shock hazard, known as the ground-fault. A ground-fault occurs when electricity jumps from its intended system through an object (like your body) that’s touching the ground. In the event that you’re exposed to a ground-fault, the electrical system is tripped and disconnected before anything really bad happens. If the appliance or tool that you plug into the outlet is already faulty or compromised (possibly by moisture), the GFCI will trip the system immediately before you’re put in harm’s way. If electricity does find a path from the hot connection through you to ground, you’ll receive only a slight shock before the GFCI detects the altered current and cuts the system off, potentially saving your life. Contact Schafer Electric Services, Inc to protect your home or business. GFCI outlet not working? Not sure how to install a GFCI outlet or replace a GFCI outlet? Schafer Electric Services, Inc has years of experience wiring and rewiring homes and businesses in the North Bay for safety. Don’t hesitate to contact us if you need help installing a GFCI outlet. Safety is the absolute highest priority and cannot be taken lightly. Fill out the form below to get in touch with us today!